Did you have a nice weekend? Did you get to see the Buffs beat up on the Rammies? I sure hope whatever you did, you had a nice time. I got to have breakfast with my family at Doug’s Day Diner yesterday, and I decided it’s probably about time I tell you about this little gem. Doug’s is about a mile and a half from my parents’ house (where both of my sisters currently live), tucked into a little strip mall next to an orthodontist. Since it first opened, I think we’ve eaten there an average of 2-3 times per month. It wouldn't be a stretch to say the wait staff knows my parents by name. They have a one page menu - breakfast on the front and lunch on the back - and everything I’ve tried has been both delicious and also enough food to feed me for at least 2-3 meals. 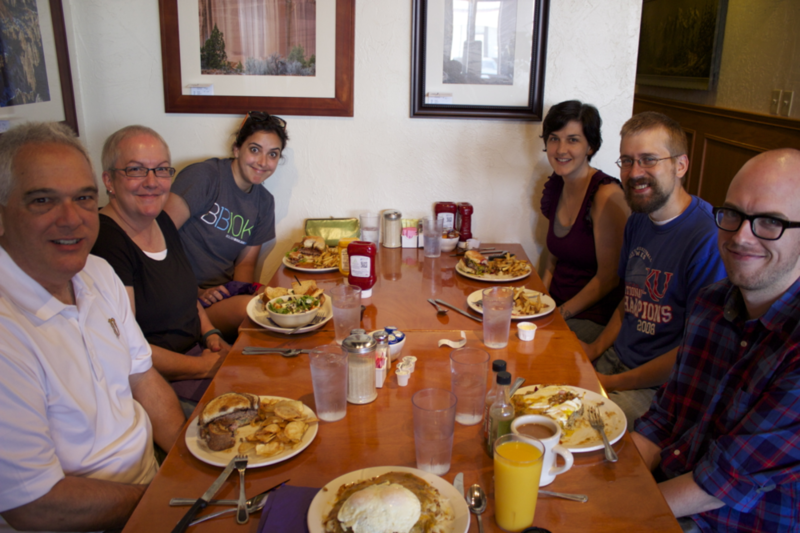 My favorites are the pancakes and anything you can get with green chile. The green chile is good. Doug's originally from New Mexico, so, ya know. 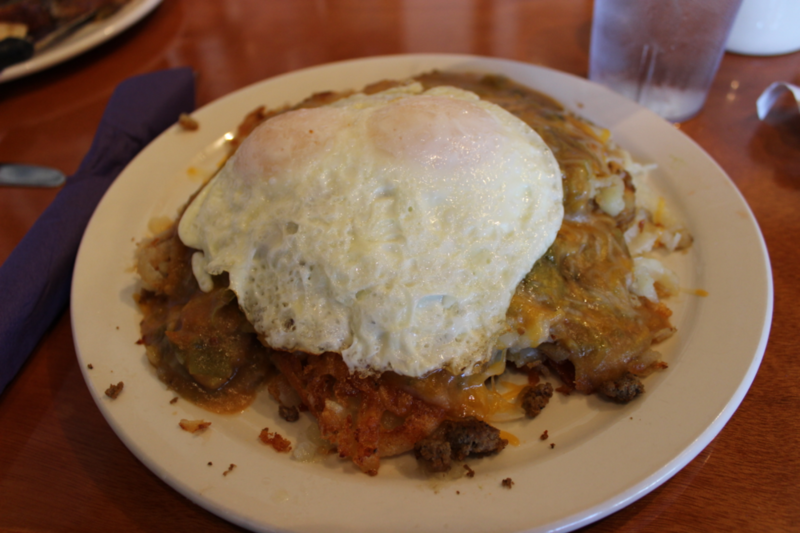 If you're in/near the Denver Metro area, get yourself to Doug's Day Diner next time you're looking for a delicious, fresh, breakfast or lunch from scratch. You won't be disappointed.